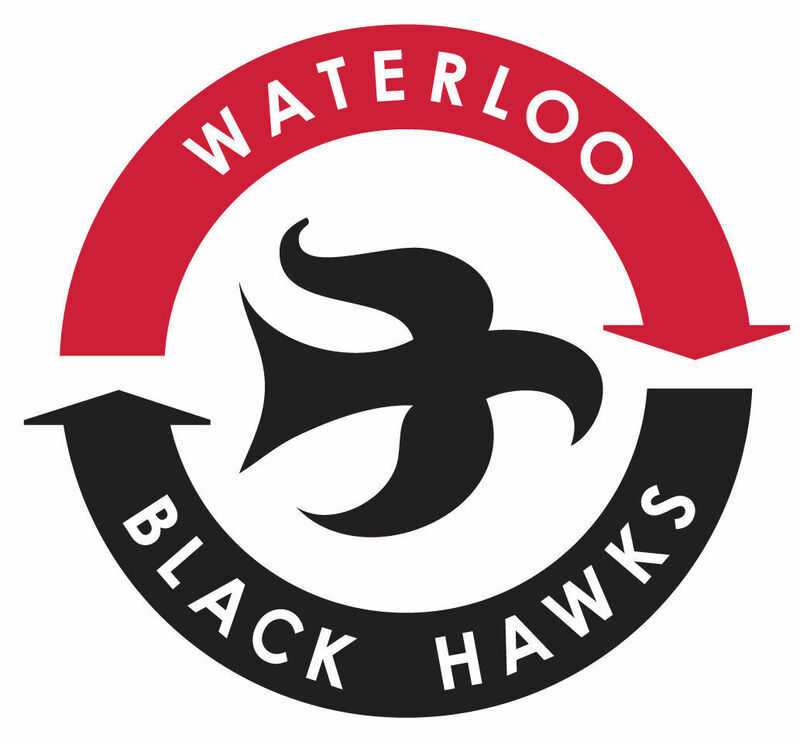 DUBUQUE — Four goals in the final 5 minutes and 34 seconds of the third period lifted the Waterloo Black Hawks to a 6-2 victory Saturday over the Dubuque Fighting Saints in the United States Hockey League regular-season finale for both teams. The victory was huge for the Black Hawks as it earned them a first-round bye in the Clark Cup playoffs that start this week. Sioux Falls briefly owned second place after a 7-0 win over Des Moines, but the Black Hawks dominated in the closing minutes against Dubuque. Waterloo’s Kyle Haskins broke a 2-2 tie when he scored on assists from Griffin Ness and Vladislav Firstov with 5:34 remaining. That opened the flood gates as Joey Cassetti, Firstov and Teddy Lagerback all scored in rapid succession to put away Dubuque. It was the Black Hawks second victory over the Fighting Saints in as many nights. Statistically, Waterloo dominated the game as it out-shoot Dubuque, 43-20, and it killed five Fighting Saints power-play opportunities. 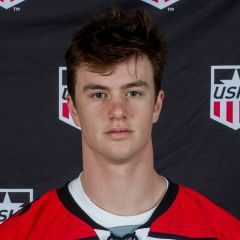 Saturday’s game started off just like Fridays with defenseman James Marooney scoring an unassisted power-play goal with 11:57 left in the first. Dubuque answered with a Matias Maccelli goal, before Dane Montgomery put the Black Hawks back ahead win 7:48 left in the first. The Fighting Saints tied it late in the second when Willie Knierim scored a short-handed goal. The Clark Cup playoffs will begin in earnest Monday. Sioux Falls will host Sioux City in a best of three with the winner advancing to face the Black Hawks in a best-of-five series beginning next weekend. FIRST PERIOD — 1. Waterloo, James Marooney (unassisted), 8:03, pp, 2. Dubuque, Matias Maccelli (Aidan Fulp, Bram Scheerer), 10:52, 3. Waterloo, Dane Montgomery (Brehdan Engum, Patrick Guzzo), 12:12. Penalties — Luke Robinson, Dub (tripping), 6:15, Wyatt Schingoethe, Wat (charging), 16:43, Xander Lamppa, Wat (too many men), 19:00, Griffin Ness, Wat (unsportsmanlike conduct), 19:32, WIllie Knierim, Dub (unsportsmanlike conduct), 19:32. SECOND PERIOD — 4. Dubuque, Knierim (Cooper Haar, Chris Lipe), 15:25, sh. Penalties — Engum, Wat (interference), 1:46, Marooney, Wat (tripping), 8:15. Fulp, Dub (roughing), 14:01. THIRD PERIOD — 5. Waterloo, Kyle Haskins (Ness, Vladislav Firstov), 14:26. 6. Waterloo, Joey Cassetti (Jacob Bengtsson, Matej Blumel), 15:58, 7. Waterloo, Firstov (unassisted), 16:40. 8. Waterloo, Teddy Lagerback (Montgomery), 18:49, pp. . Penalties — Bram Scheerer, Dub (slashing), 17:52. Goalies — Waterloo, Evan Fear (18 saves). Dubuque, Aaron Randazzo (37 saves). Referees — J.R. Stragar and Riley Yerkovich. Linesmen — Cameron Dykstra, Kris Delaney. FIRST PERIOD -- 1. Waterloo, James Marooney (unassisted), 8:03, pp, 2. Dubuque, Matias Maccelli (Aidan Fulp, Bram Scheerer), 10:52, 3. Waterloo, Dane Montgomery (Brehdan Engum, Patrick Guzzo), 12:12. Penalties -- Luke Robinson, Dub (tripping), 6:15, Wyatt Schingoethe, Wat (charging), 16:43, Xander Lamppa, Wat (too many men), 19:00, Griffin Ness, Wat (unsportsmanlike conduct), 19:32, WIllie Knierim, Dub (unsportsmanlike conduct), 19:32. SECOND PERIOD -- 4. Dubuque, Knierim (Cooper Haar, Chris Lipe), 15:25, sh. Penalties -- Engum, Wat (interference), 1:46, Marooney, Wat (tripping), 8:15. Fulp, Dub (roughing), 14:01. THIRD PERIOD -- 5. Waterloo, Kyle Haskins (Ness, Vladislav Firstov), 14:26. 6. Waterloo, Joey Cassetti (Jacob Bengtsson, Matej Blumel), 15:58, 7. Waterloo, Firstov (unassisted), 16:40. 8. Waterloo, Teddy Lagerback (Montgomery), 18:49, pp. . Penalties -- Bram Scheerer, Dub (slashing), 17:52. Goalies -- Waterloo, Evan Fear (18 saves). Dubuque, Aaron Randazzo (37 saves). Referees -- J.R. Stragar and Riley Yerkovich. Linesmen -- Cameron Dykstra, Kris Delaney.